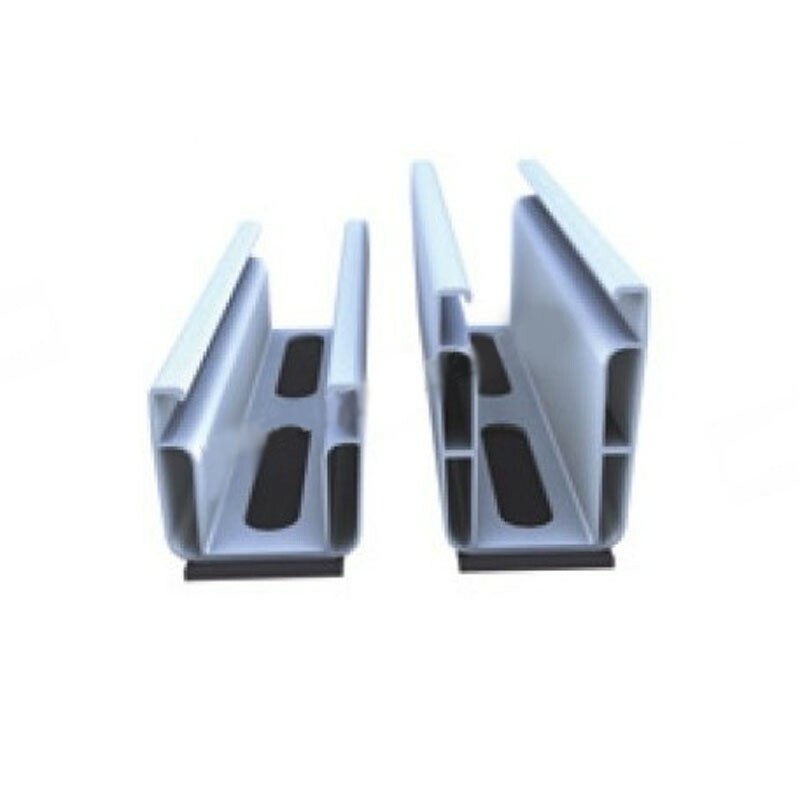 Aluminum mounting rail with end slam for corrugated sheet roof. Simple, fast and economical installation. The fastening system is directly attached to the trapezoidal panel. It has been studied and optimized to the last detail to guarantee the safety of your system, a high flexibility of layout and a simple and fast assembly. The mounting system helps you mount the modules vertically and horizontally using module mountings. It can accommodate all module frame heights on the trapezoidal roof with only a few types of fasteners, which are available in both bare aluminum and black. They are installed on short rails, practical and fully pre-assembled. Pre-cut and with fixed support and high quality EPDM sealing strips, the short profiles are easy to handle on site and on the roof. The rails are always installed from the top using approved screws for thin sheets. These are screwed into the trapezoidal panel without producing metal chips, which can lead to corrosion if not removed. They also have the same head as the screws used on the module mountings, which means you only need one tool. This trapezoidal metal roof fixing system guarantees good rear ventilation of the modules and aesthetic design for your photovoltaic system. They can be used from a steel panel thickness of 0.4 mm. 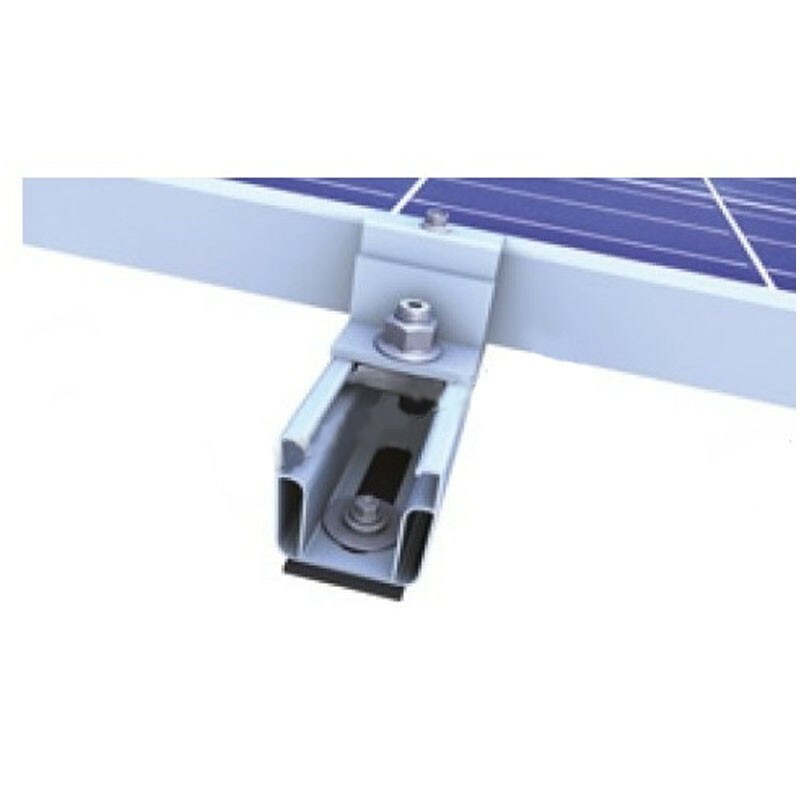 Thanks to their clever design, the screw connection creates an electrically conductive connection between the fixing system and the roof surface.